Lee Marvin was an award winning actor who was a native of America. He appeared in over 70 films during his acting career. His most famous films include ‘Cat Ballou’, ‘The Dirty Dozen’ and ‘Paint Your Wagon’. Lee Marvin was born in New York City in 1924. Following service in the US Marine Corps during World War II he began his stage career in New York. He appeared in several television shows and made his film debut in 1951 in ‘You’re in the Navy Now’. He went on to appear in over 70 films and won the Academy Award for Best Actor for his roles in ‘Cat Ballou’ in 1965. Lee Marvin, award winning actor whose most famous films include ‘Cat Ballou’, ‘The Dirty Dozen’ and ‘Paint Your Wagon’, was born in New York City in the year 1924 On This Day. Jimmy Carter was the 39th President of the United States of America. He served for one term from 1977 to 1981. An engineer by profession, Carter served a as Governor of Georgia from 1971 to 1975. Following his term as President he remained active as a diplomat and was named the Nobel Peace Prize laureate in 2002. 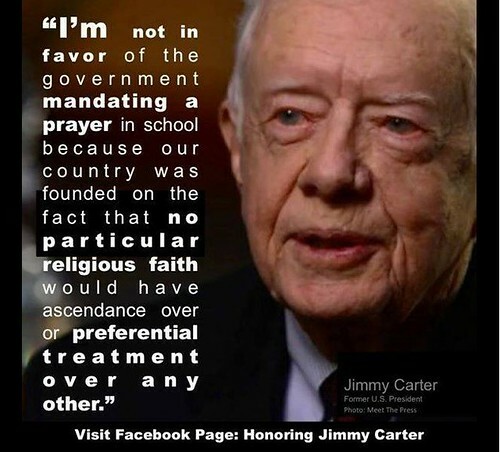 Jimmy Carter was born James Earl Carter in Plains, Georgia in 1924. He served as an officer in the United States Navy until the death of his father in 1953. He then returned to Georgia to run his family’s peanut-growing business. Carter served in the Georgia State Senate, before being elected Governor of Georgia in 1971. He was selected as the Democratic presidential candidate in 1976. In the subsequent election carter was elected President of the United States. He was inaugurated as President on January 20th 1977. Jimmy Carter, 39th President of the United States of America was born in Plains, Georgia, in the year 1924 On This Day. Charles Stanford was a native of Dublin, Ireland. He was a composer, music teacher and conductor whose compositions were popular during the late 19th and early 20th century. His work, which included several symphonies and five Irish Rhapsodies, had a major impact on music composition in Great Britain and Ireland. Charles Villiers Stanford was born in Dublin on September 30th 1852. He was educated at a private school in Dublin. Interested in music from a young age, he had several tutors as a young boy. He wrote his first composition, a march in D major, at the age of eight. It was performed in 1863 at the Theatre Royal in Dublin. In 1870 Stanford was admitted to Cambridge University to study classics. However he became deeply involved in the musical life of the university. He graduated in 1874 with a third-class degree. Following graduation he studied music in Leipzig and Berlin. 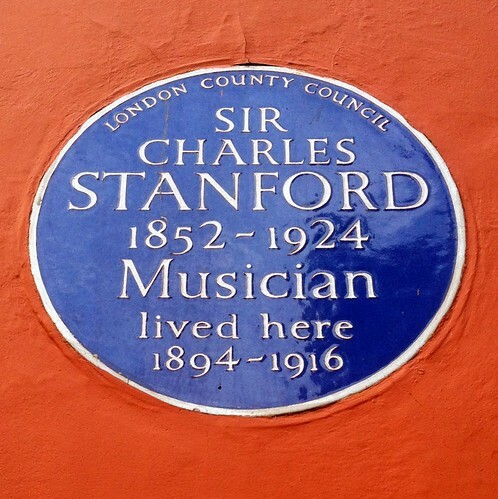 Stanford was one of the founders of the Royal College of Music. He was appointed Professor of Music at Cambridge University in 1882. Together with his teaching duties he continued to compose and perform. 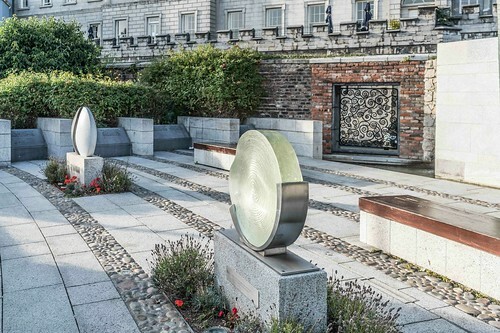 He received several honours including an honorary doctorate from Trinity College Dublin in 1921. Charles Stanford, composer, music teacher and conductor who was a native of Dublin died in London in the year 1924 On This Day. The Cheltenham Festival is a National Hunt race meeting which is held every year in March at Cheltenham Racecourse. Cheltenham Racecourse is located near the town of Cheltenham in Gloucestershire, England. The festival which is held over four days attracts over 200,000 visitors annually. It is popular with Irish visitors and attracts some of the best British and Irish trained horses. 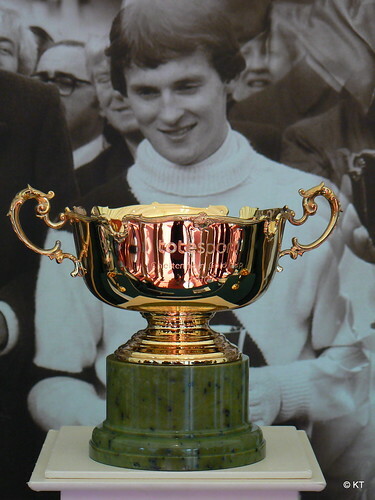 The Cheltenham Gold Cup is the most popular race of the festival. Horse racing at Cheltenham can be traced back to 1815. The race meeting was then held at Nottingham Hill near Cheltenham. The racecourse was moved to Prestbury Park, its current location, in 1831. Today there are two racecourses at Cheltenham and the venue can accommodate 67,500 spectators. The venue hold six race meeting each year, the most popular of which is the Cheltenham Festival. The Cheltenham Gold Cup was run for the first time in the year 1924 On This Day. Garda Patrick O Halloran was shot and mortally wounded whilst trying to arrest two bank raiders in Baltinglass Co Wicklow, Ireland in January 1924. He died twenty four hours after being shot. Garda O’Halloran was the third Garda Officer to be killed in the line of duty since the foundation of An Garda Síochána (The Civic Guard) in 1922. Patrick O’Halloran was born at George’s Street, Gort Co Galway on May 15th 1896. He worked as a signalman with Great Southern and Western Railway before joining what then known as the Civic Guard on March 31st 1922. Following training he was initially stationed in Swords Co Dublin. He was later stationed in Skerries before being transferred to Baltinglass in October 1922. The Garda station in Baltinglass was attacked by a group of about fifty men on January 13th 1923. The mob was armed with crowbars and sledgehammers. Garda O’Halloran was one of just four Gardaí in the station at the time, who successfully defied the attackers. While on duty on January 28th 1924 Garda O’Halloran was passing the National Bank (now Bank of Ireland) at about 2.00pm. He heard a gunshot and the sounds of a struggle from inside the bank. Realising that a bank robbery was in progress, he tried to gain entry but found the door locked. Garda O’Halloran blew his whistle and the two raiders, Peter Jordan and Felix McMullen, left the bank by the back door. They were pursued by O’Halloran. One of the raiders turned, shot and seriously wounded Garda O’Halloran. Though the raiders were pursued by others they managed to get away. Garda O’Halloran was attended by local doctors. He was transferred the Curragh Military Hospital where he died twenty four hours later. Peter Jordan was later arrested in Monaghan and Felix McMullen was arrested in Liverpool. They were tried for murder in July 1924. McMullen was found guilty and sentenced to death. He was hanged in Mountjoy Gaol on August 1st 1924. Jordan was sentenced to ten years penal servitude and twenty lashes. Garda Patrick O’Halloran, having been shot whilst trying to arrest two bank raiders in Baltinglass, Co Wicklow, died of his wounds at the age of 27 in the year 1924 On This Day.